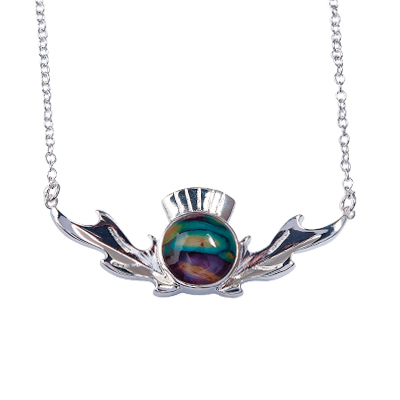 Heather Gems are unique jewelry handcrafted in Scotland from the stems of heather - an indigenous low-growing shrub renowned for its lovely blooms. 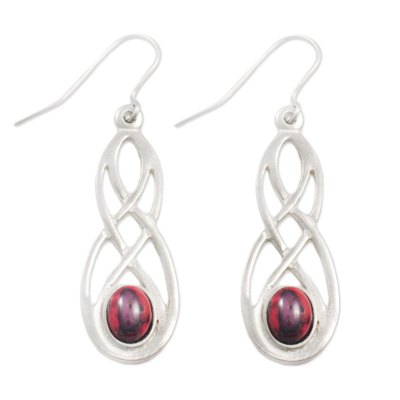 These stems are gathered, dyed, and then compressed into gemstones. 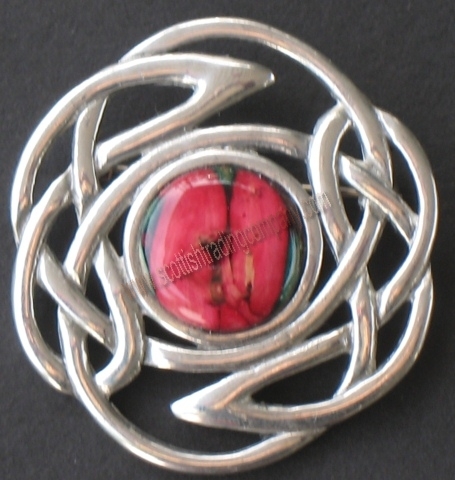 Each brooch is made of pewter worked into a round Celtic Knot. Please note that because of the nature of the plant and the process, each stone is unique and colors will vary from piece to piece. 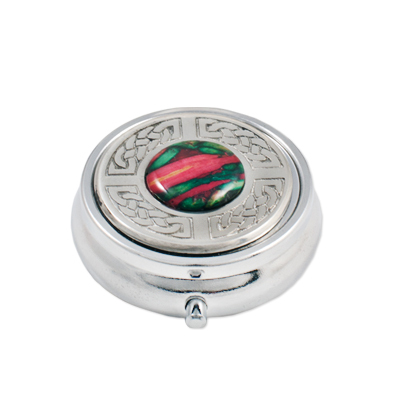 Each Heather Gem piece comes with a lovely presentation box.